You will have already seen on Total911.com at the tail-end of last year that for the 2015 Le Mans 24-hour race, Porsche will be fielding a third car in the top LMP1 class of competition piloted by, among others, current Formula One star Nico Hulkenberg. This is great news on two fronts: not only are Weissach presenting themselves with an extra contender for overall victory at La Sarthe, but the temporary appointment of Herr Hulkenberg also adds to the pizzazz of a Porsche driver lineup already boasting former F1 favourite Mark Webber, boosting the appeal of the company to a wider audience. This is a wise move, not only in securing some brand appeal in the eyes of tomorrow’s motorsport enthusiast, but also in clawing back some allegiance from a lost generation, too. 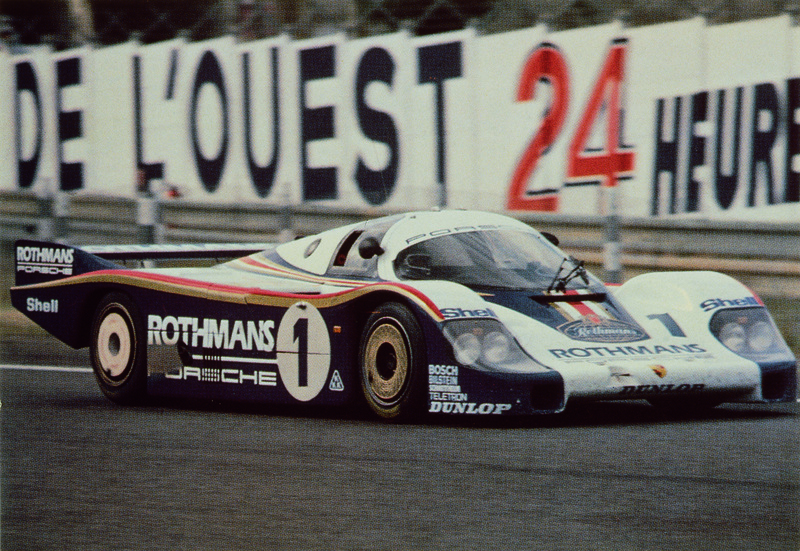 The 1982 victory of Jacky Ickx and Derek Bell is now a distant memory for most and before the lifetime of some. Sadly, that lost generation is the one I belong to. At this point I should say one of my earliest memories with a car was going for an exhilarating ride in a nearly-new (at the time) 964 Carrera 2 Cabriolet. From that moment on, I’ve been smitten by the appeal of the 911 and, therefore, Porsche. Yet when it comes to motor racing, I can’t harbour the same enthusiasm for the fortunes of the ‘other’ prancing horse quite like my father or his peers can. This is because, when I was growing up, Porsche was absent from the top table of motorsport. During that long, 16-year hiatus from Le Mans – beginning the moment Allan McNish, Stephane Ortelli and Laurent Aïello brought the GT1 home in first place in 1998 – those with a predilection or Porsche had to look elsewhere to cast their motorsporting allegiance. The future of Porsche motorsporting success currently lies on the shoulders of the revised 919 hybrid. My own focus turned towards the glamour of Formula One, where I have fond memories of getting up at the crack of dawn with my father to watch the final race of the season live from Suzuka, but in terms of Le Mans, it was hard for many to not marvel at the sheer dominance of the Audi team (with at least a smattering of Porsche interest coming from Audi team boss and former Weissach works driver Reinhold Joest). From Porsche themselves, there was simply nothing. Of course, ‘The Return’ last year had the potential to change that perspective for Porsche’s lost generation of motorsports fan, though an ultimately disappointing finish – not to mention the failure to deliver on the perfect opportunity for an iconic livery, with Martini opting to clothe a Williams F1 car instead – put paid to that. Do you agree? Have your say in the comments below, or head to our Facebook and Twitter pages to join the debate now.